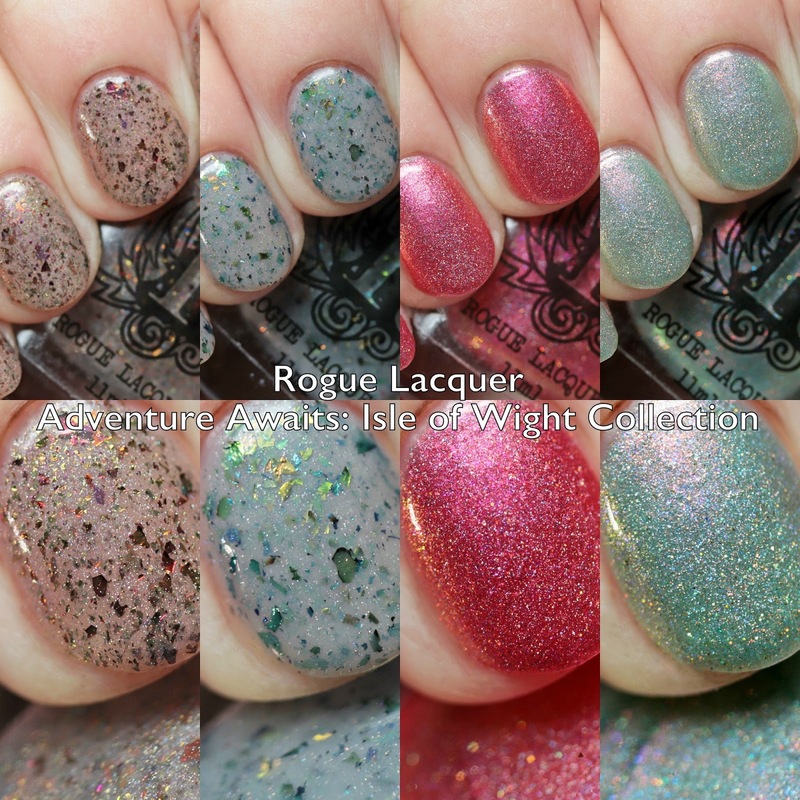 Rogue Lacquer is launching the Adventure Awaits: Isle of Wight Collection at Polish Con New Orleans today, and online on April 10. 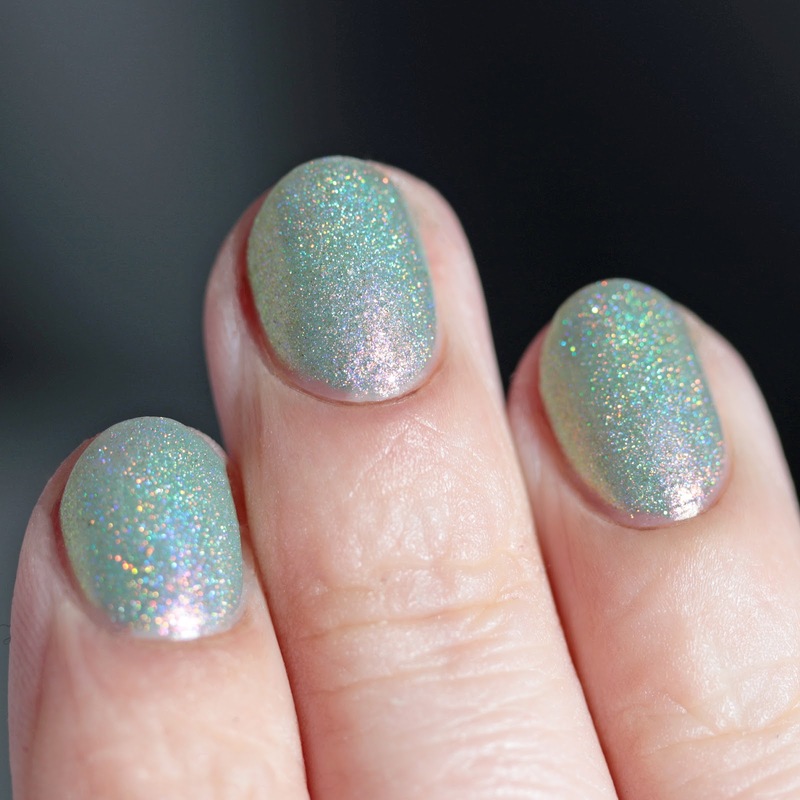 This quad of shifting, shimmery polishes is inspired by Rachel and her husband's favorite vacation spot, the Isle of Wight in the English Channel off the coast of southern England. Let's check them out! 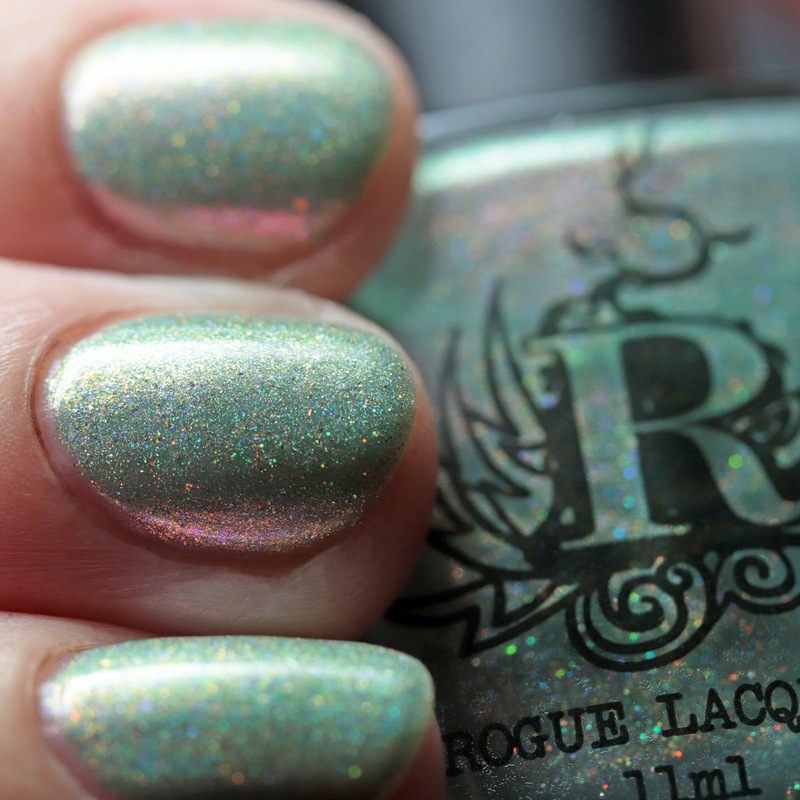 Rogue Lacquer Alum Bay is a cool beige jelly with holo shimmer and red-to-green multichrome flakes. 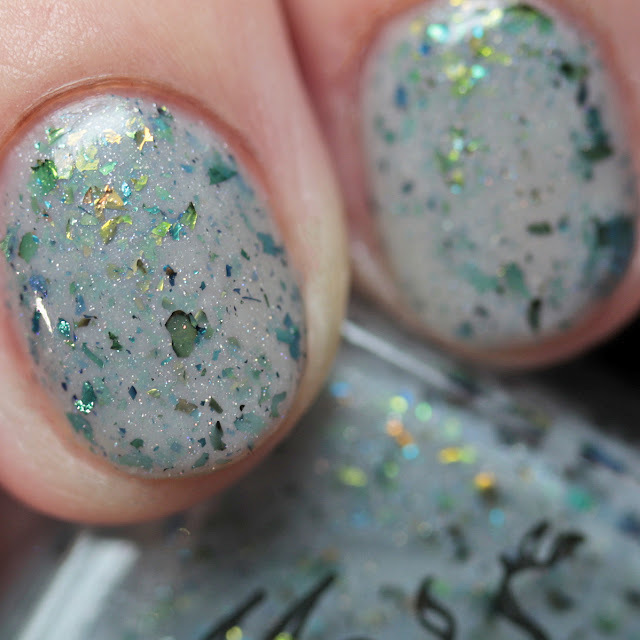 It pays tribute to the multicolored sands of its namesake bay. 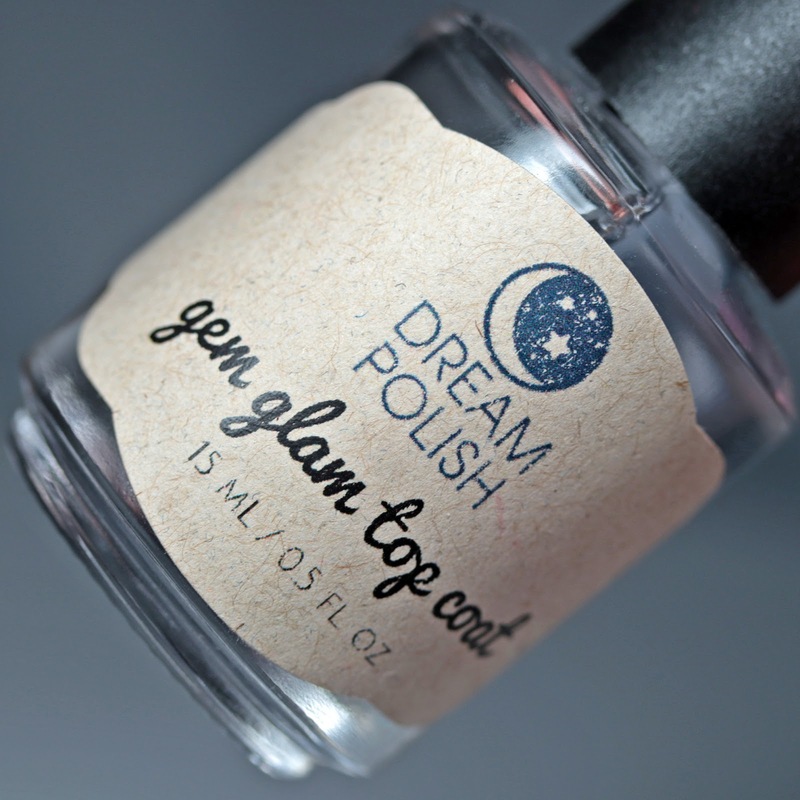 I wore it in four thin coats and it dried quickly with a nice formula. 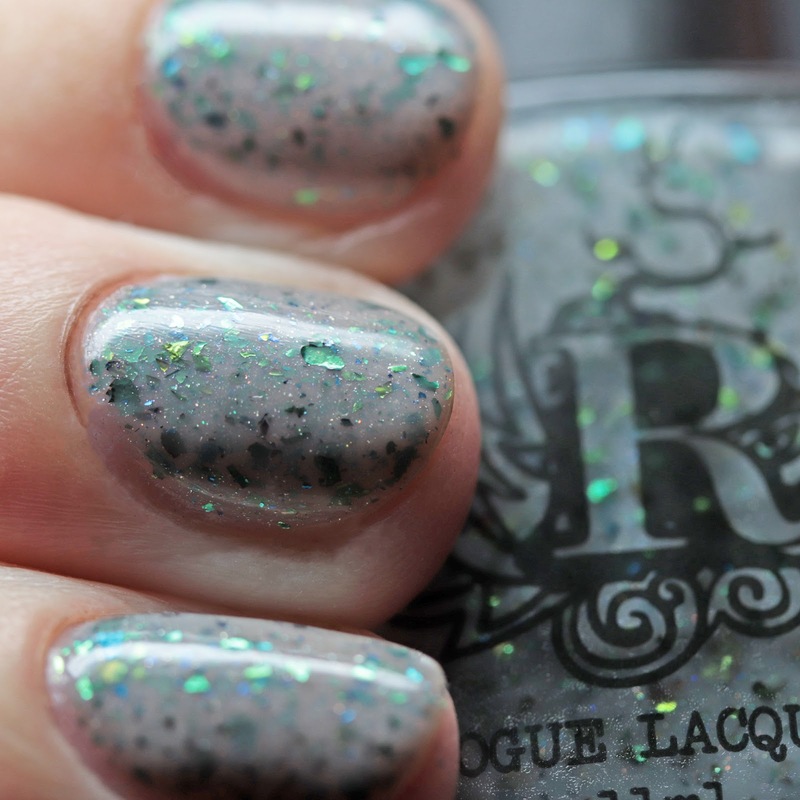 Rogue Lacquer Carisbrooke Castle is a gray jelly with green-to-indigo multichrome flakes and holo shimmer. 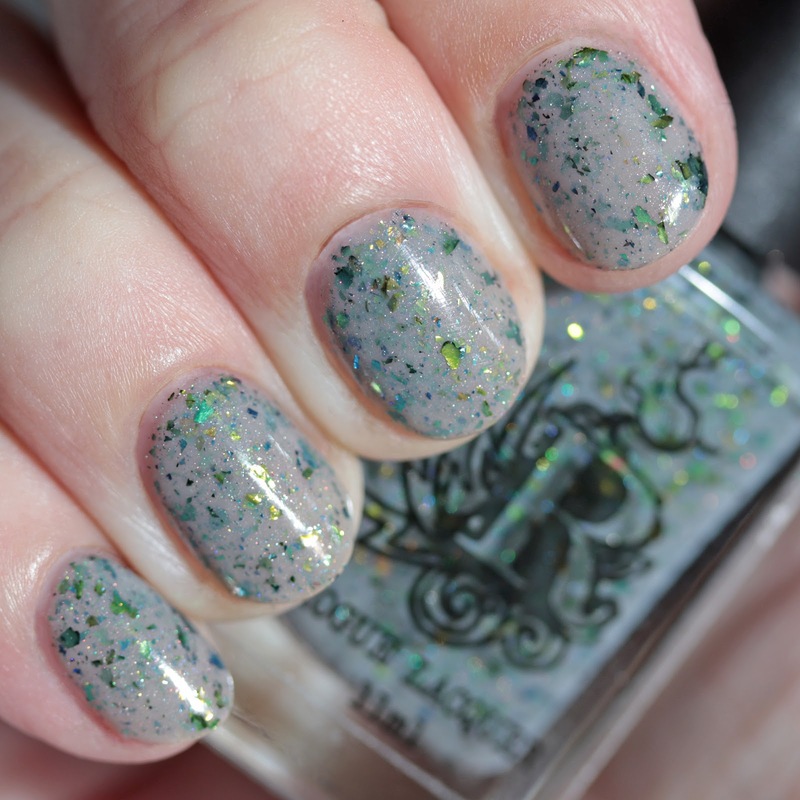 It channels the moss-covered stone of the 12th century castle. 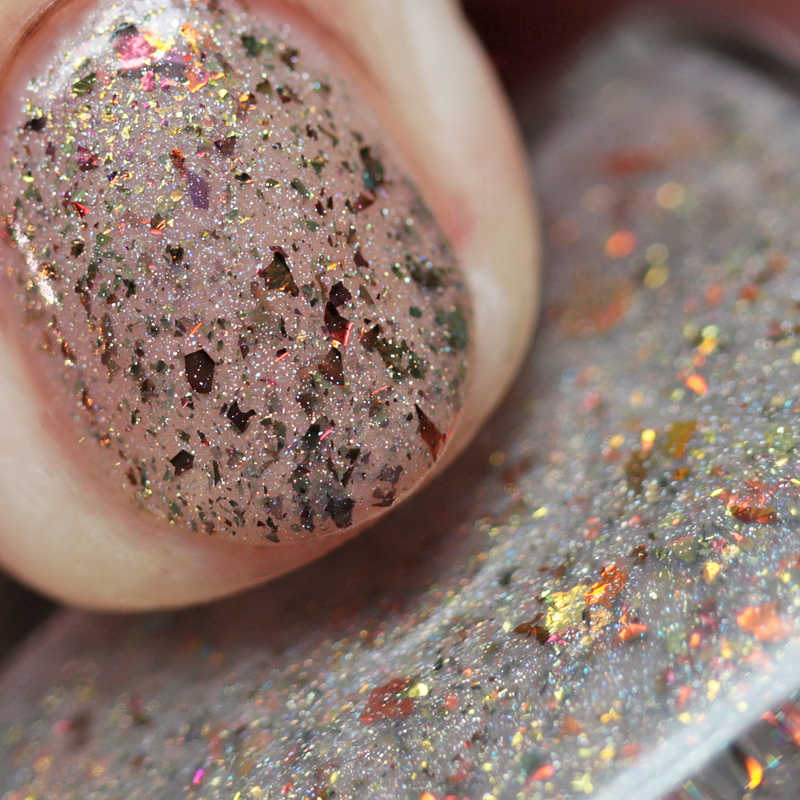 I wore it in four thin coats and it dried quickly and shiny. 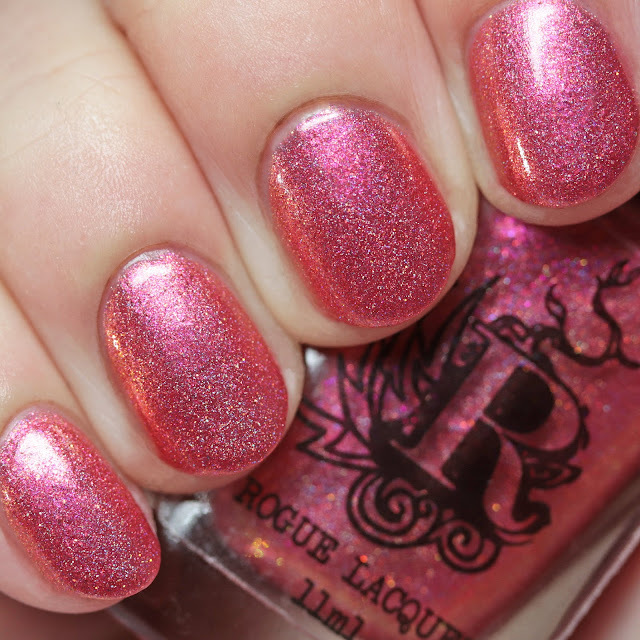 Rogue Lacquer Prawn Cocktail is a red-coral jelly with pink-to-gold multichrome microflake shimmer and holo shimmer and microglitter. 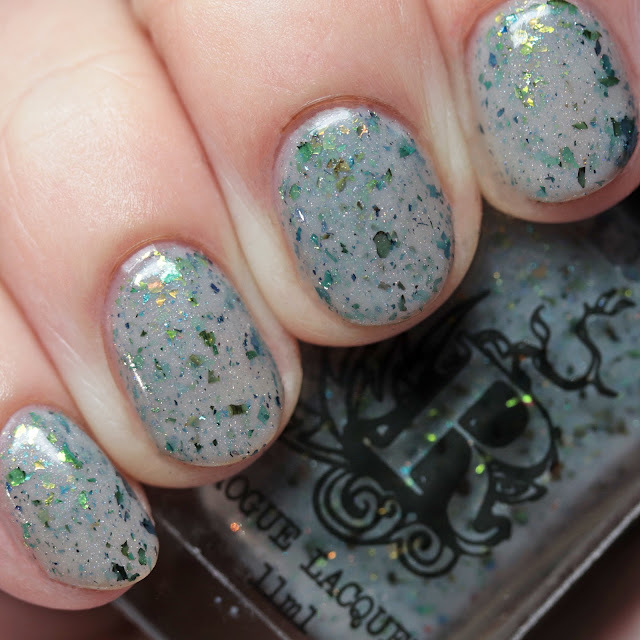 Seafood is always on the menu on an island! I wore it in three thin coats and it had a nice, fast-drying formula. 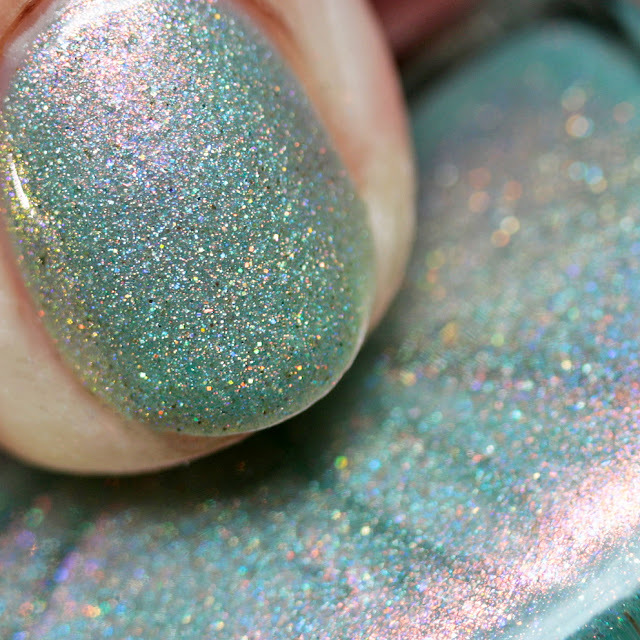 It needs top coat for shine. 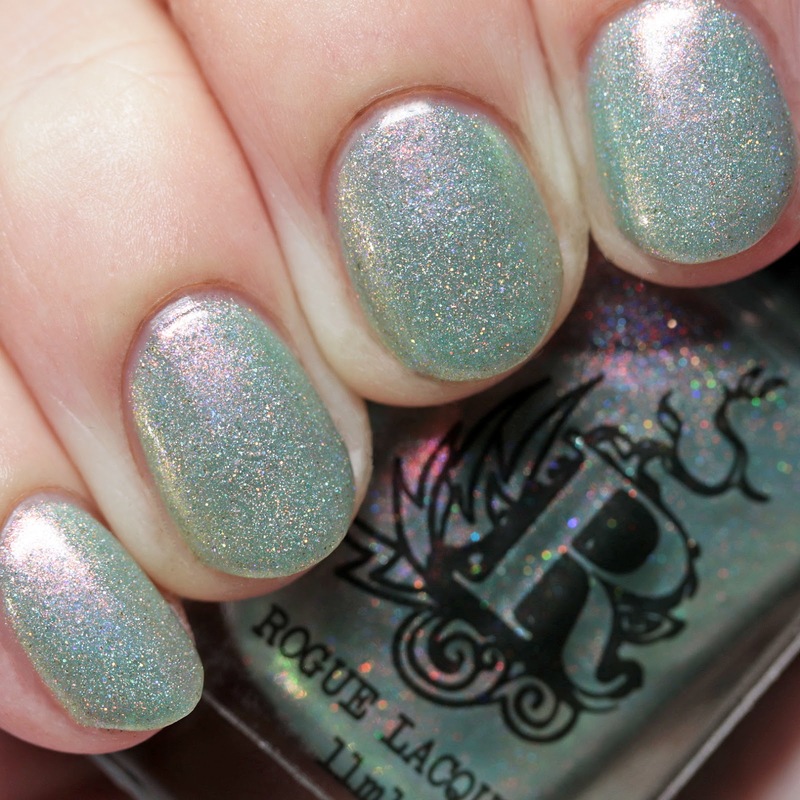 Rogue Lacquer Shanklin Chine is a seafoam-mint jelly with pink-to-gold multichrome shimmer and holo shimmer and microglitter. 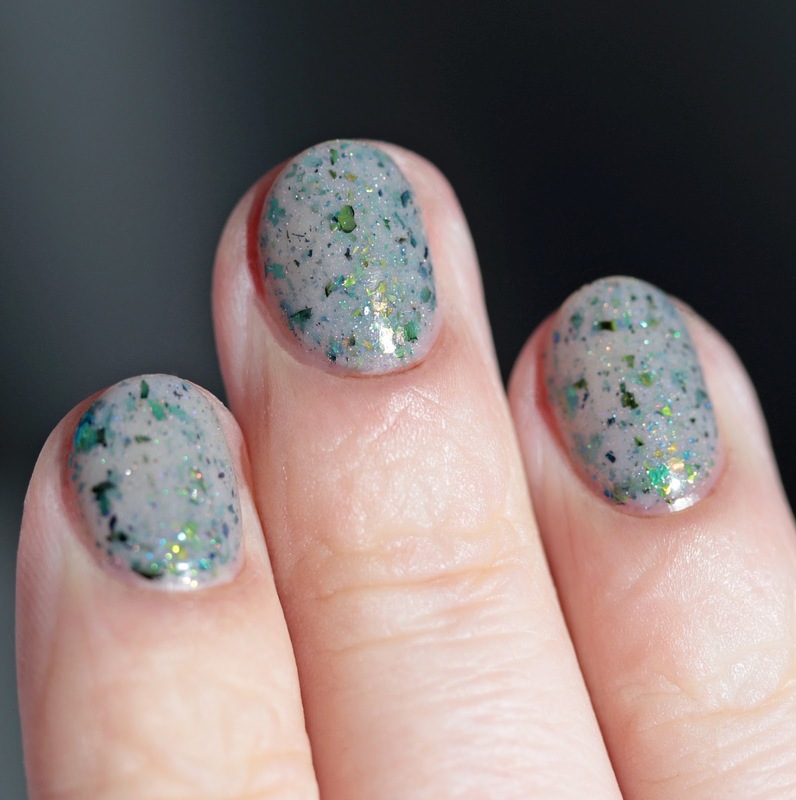 I wore it in four thin coats and it dried quickly. 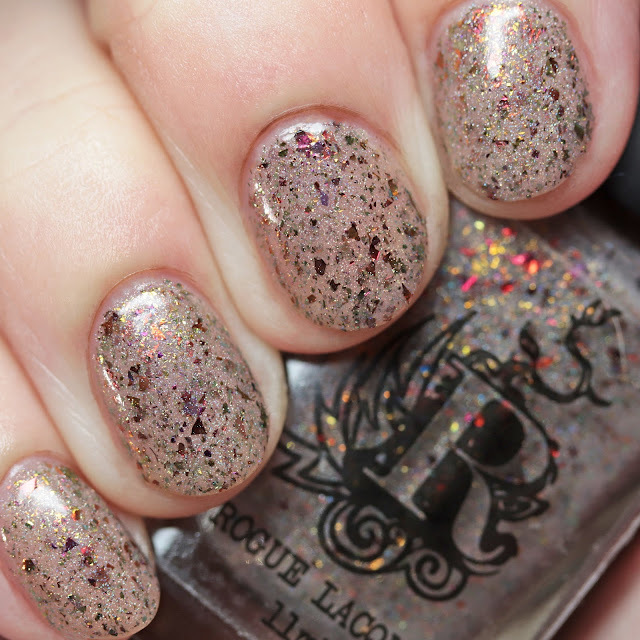 It needs top coat to shine. This is a seaside ravine with garden-like, lush vegetation. Also used on this post are Dream Polish's Gem Stick Base Coat and Gem Glam Top Coat. 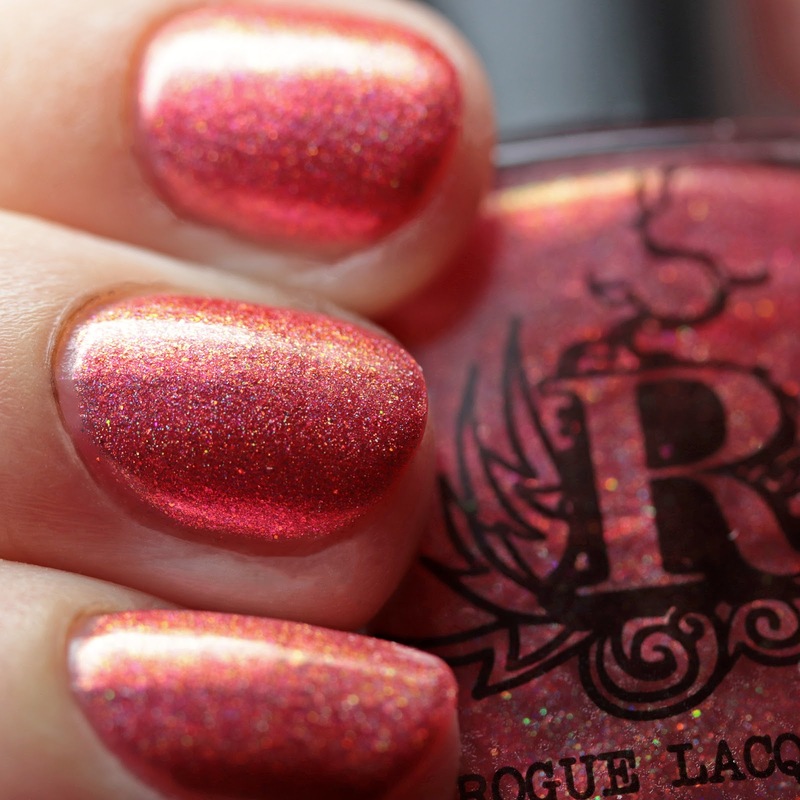 These are sold in the Rogue Lacquer shop and are particularly well suited to the Rogue formula. 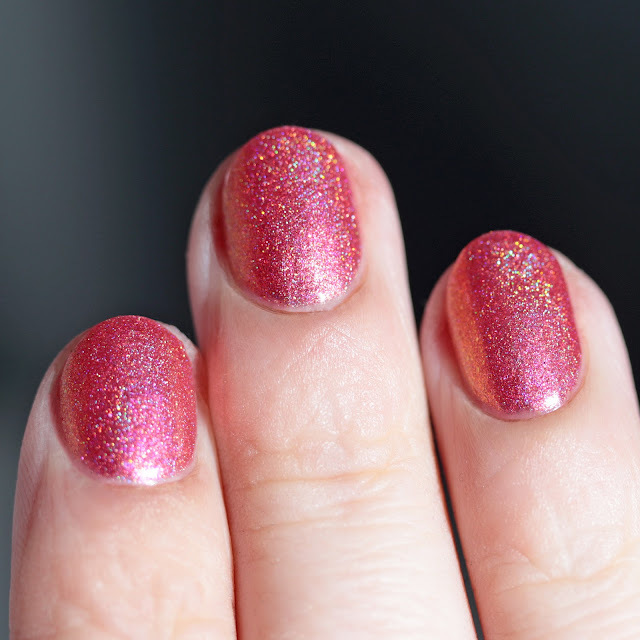 I got excellent wear time with this sticky base and medium-fast drying top coat. 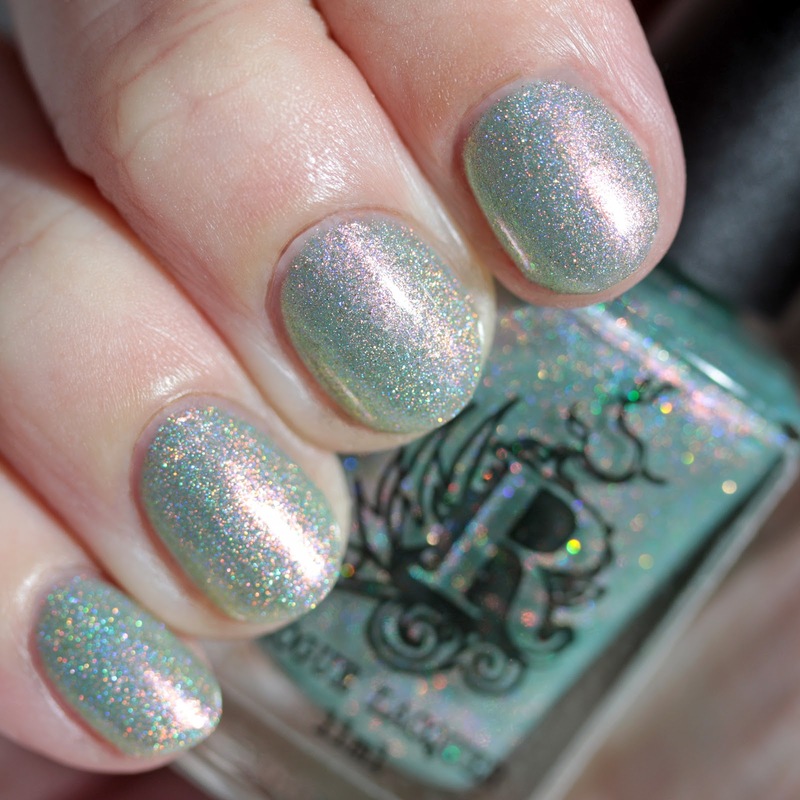 Each are scented, and I tried the Bird of Paradise version, which is a soft floral. 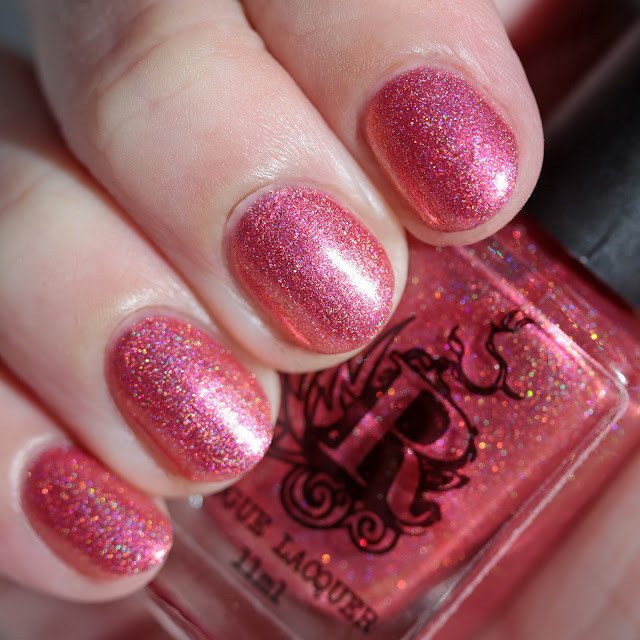 They are priced at $8 each. 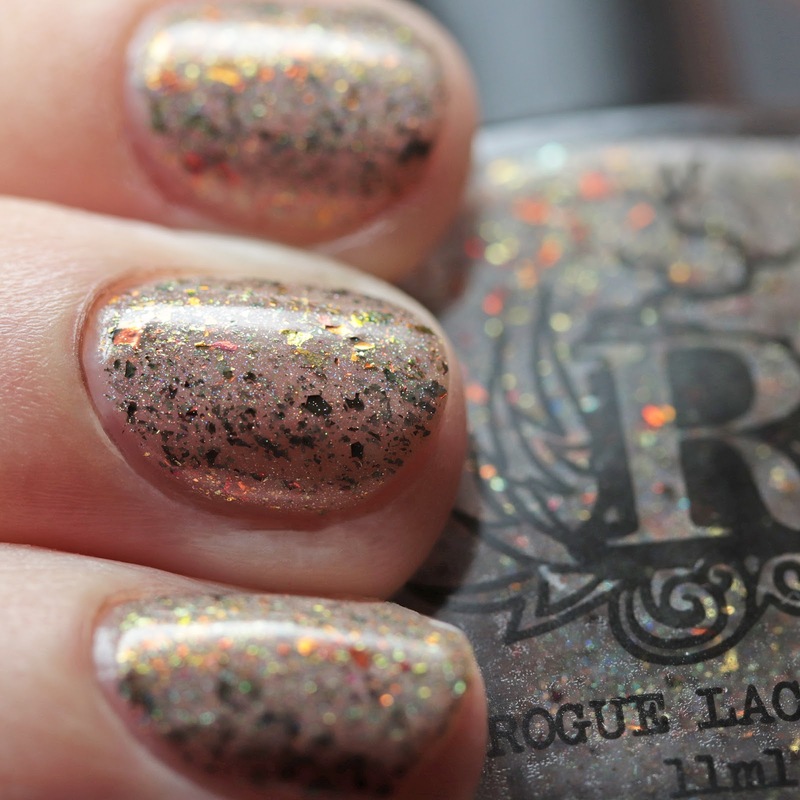 Rogue Lacquer Adventure Awaits: Isle of Wight Collection debuts at Polish Con New Orleans later today and also online April 10. 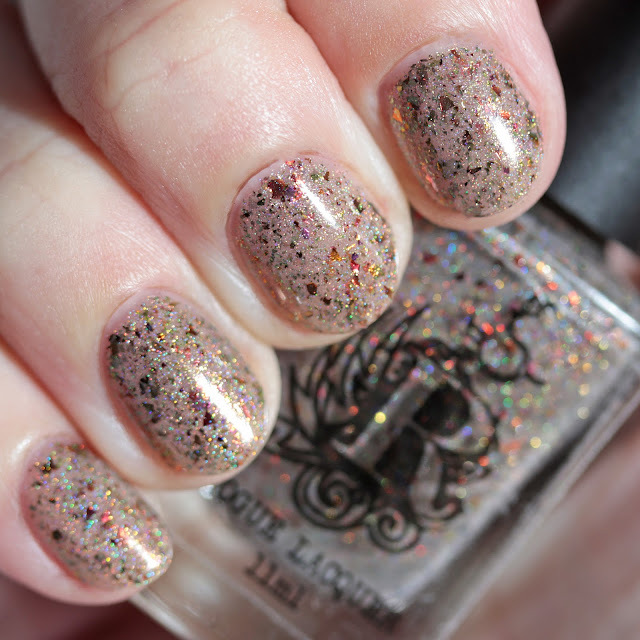 I love Rachel's location-inspired concise quad collections - the layering of flakes and shimmers is stunning and the formulas always on point. 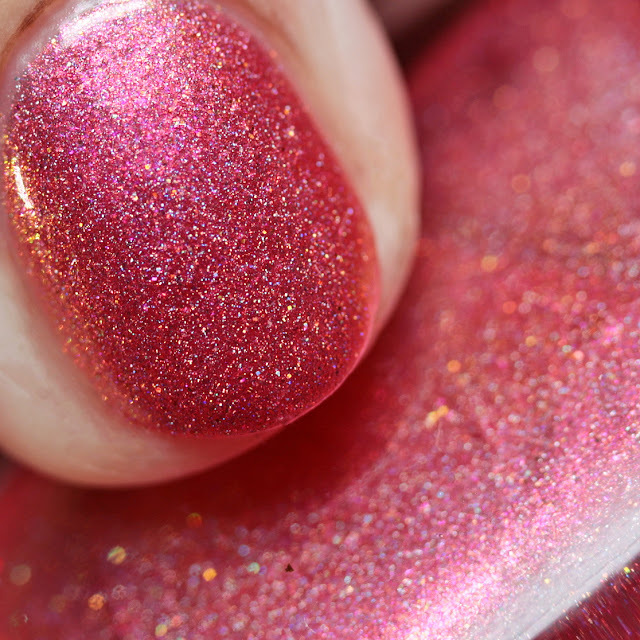 I am partial to Alum Bay this time as a neutral with a kick is always my speed.